The MK Diamond 158252 MK-145 1/2 HP 4-1/2" Wet Cutting Tile Saw is equipped with a pump free, immersion blade cooling system. 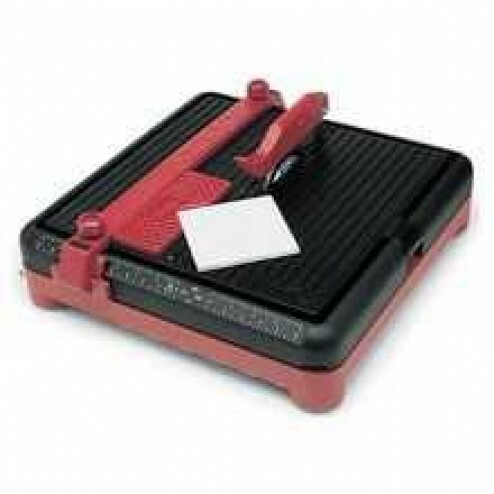 Great for wet cutting marble, stone and ceramic tiles. Locking MK-Safeswitch prevents machine from running without key. Convenient, built in 45 degree miter table and rip guide. Comes complete with 4-1/2" diamond blade. Handy internal power cord storage. UL tested and approved for safety.